After years of hosting my personal blog/website with one of the worst hosting providers out there (it rhymes with BroCaddy), I finally decided to move it this past year. I’m also in the process of transferring all of my domains, as they near expiration, away from them as well. By the way, Namecheap is an awesome registrar and I highly recommend them. They also provide hosting, so take a look at their offers. For the past 5+ years, I’ve used Wordpress to host my website and blog. Since the purpose is primarily providing information, my needs are fairly simple. As I already put in 60+ hours per week of consulting, I am always looking for ways to cut down on time invested on non-revenue-generating work. Managing my website and blog is one of theses areas. After assessing the options available to me, I decided on migrating to Google’s Blogger service. In this post, I’ll cover a few of the options I looked at, which include Blogger, Squarespace, Wix and Weebly. Let’s start with my favorite hosting provider - bar none. Squarespace is the embodiment of what I think a comprehensive hosting platform should be. They include everything you need to build a great looking website, have excellent performance and uptime, and go the extra mile to provide top notch customer service. If you watched the Superbowl recently, you might remember the commercial that Jeff Bridges did with Squarespace. Imagine the amount of traffic that came from that ad. Rumor is that you cannot bring down a Squarespace site purely from traffic. Until I hear otherwise, I concur. Squarespace provides one of the best ‘what you see is what you get’ (WYSIWYG) editors around, so that you can see exactly what your edits look like in real time. They provide 26 amazing templates that are super responsive on desktop/laptop and mobile web browsers. This is crucial for businesses on the internet, because users will often get frustrated and leave your site if it loads too slowly. Additionally, there are options for multiple domain hosting if you happen to have multiple websites, or host sites for clients. I highly recommend Squarespace for your hosting needs. Two other providers that I looked at were Wix and Weebly. You may recall that there was also a Superbowl ad for Wix. 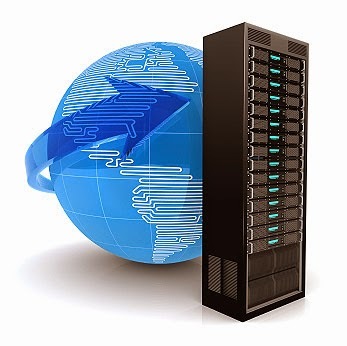 It seems that these types of ‘all in one’ hosting providers are gaining in popularity. There was once a day that you had to hire a web designer or design firm to build your website, then get a separate hosting provider to host your site. Any updates had to be done manually by a skilled individual. If you were lucky to have a CMS like Wordpress or Drupal, you still needed a technical person to update and backup the site and database. Now services like Squarespace, Wix and Weebly handle all of that for you. Admittedly, the offerings from Wix and Weebly are not quite up to par with that of Squarespace. Wix offers many more templates (over 500), but they are more simplistic than those from Squarespace. Also, if you wish to change templates, it is a destructive process. You will need to ‘re-build’ your site in terms of content. Weebly offers an excellent drag & drop website builder, along with many templates like Wix. Both Wix and Weebly will let you host a basic site for free with a few caveats. If you want to use a professional custom domain, you will need to pay just like Squarespace. Being able to design your site without paying first is an awesome feature though. You can see if the template and design is really what you want for your site. For most small websites, or ‘one pagers’, Wix or Weebly may be the better option. It is best that you try them out and see for yourself. Hopefully I’ve provided some ideas that can get you started on picking your hosting provider. The thing to keep in mind is that unless you are a web designer or hosting firm, web site hosting and design is not your core business. In the modern business world, it is always a wise choice to focus on your core business and outsource as many non-core services as possible. Squarespace for website hosting, Quickbooks online for bookkeeping, Google Apps for Business for email and collaboration, etc. If you have any questions or thoughts, please leave them in the comments below.